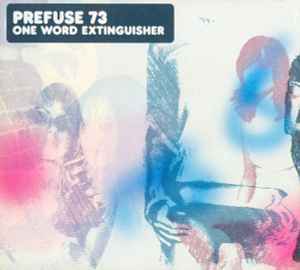 On Scott Herren's second Prefuse 73 outing, ONE WORD EXTINGUISHER, he continues the cut-up hip-hop that made his debut, VOCAL STUDIES + UPROCK NARRATIVES, explosive. His collaboration with Dabyre, "Uprock and Invigorate," certainly does both, while "Dave's Bonus Beats" skims into gospel territory. The songwriting seems to be more in effect here, sometimes in tandem with his musique concrete: "Detchibe" has no end to its funky soul; "Busy Signal" is unspeakably bouncy; "Perverted Undertone" hints at jazz; "Choking You" heads right into the digital divide. Even when Herren slows things down ("90% of My Mind is with You"), we can hear his careful craftsmanship. Herren hasn't lost his sense of humor, either, as evidenced by the "Altoid Addiction" interlude. Another triumph for Prefuse 73.